Catalina is a super affectionate girl who loves humans and has a lot of personality. She always purrs to the touch, and is talkative. She is a very well behaved indoor cat. She likes to sunbathe and explore her environment since she's very inquisitive. Since she has some fear of other cats, she will do best as the only cat in the home, but she may be ok with a very mellow cat. She does not like dogs. Catalina's a very sweet cat. She will make a very good companion to the right home! 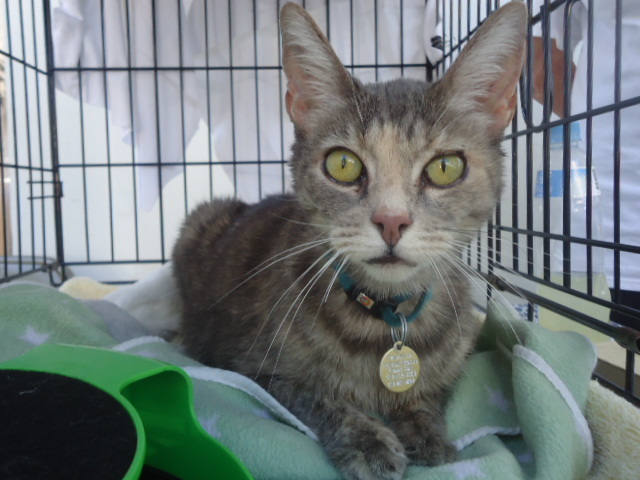 Catalina is vaccinated, tested negative for Feline Leukemia, but positive for FIV, and is microchipped.